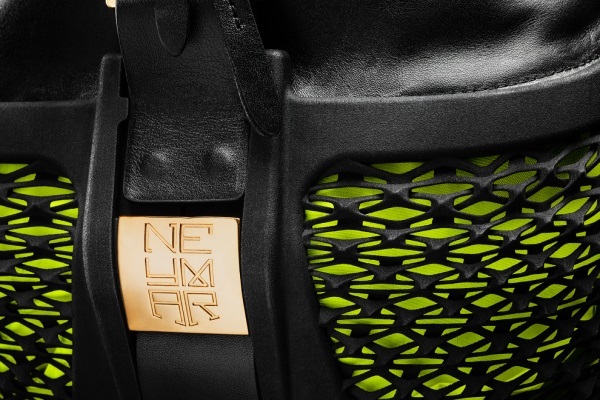 With World Cup fever taking over at the LPE office and the use of a partially 3D printed exoskeleton featuring in the opening ceremony it was only a matter of time before we got around to writing a post on 3D Printing at the 2014 FIFA World Cup. 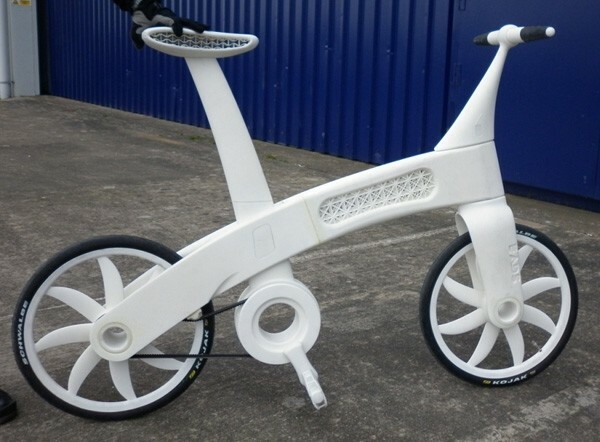 In 2011 EADS, the European Aerospace and Defence group produced Airbike, the worlds first bike built using Additive Layer Manufacturing technology. Produced in Nylon but strong enough to replace steel or aluminium the Airbike was ‘grown’ in one piece using the Selective Laser Sintering (LS) process. With complex designs achievable at no extra cost a range of unique design features were incorporated into the Airbike design such as the auxetic structure to provide saddle cushioning or the integrated bearings encased within the hubs. 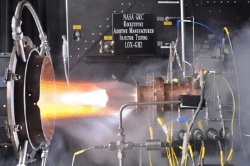 Despite the technologies capacity to produce complex designs up to 65% lighter than traditional manufacturing techniques, high machine and material costs in 2011 prevented LS technology from becoming an alternative to traditional manufacturing processes. The past three years have seen considerable improvements in the range of materials and technologies available, with Rapid Prototyping growing in popularity within the UK cycling industry. 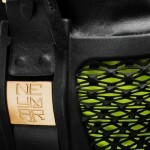 In 2012 UK firm Crux Product Design used 3D printing technologies to produce helmets for the Team GB cycling team. Designed to ensure best fit, 3D laser scans were created for each individual athlete with these scans used to develop the 3D CAD data. 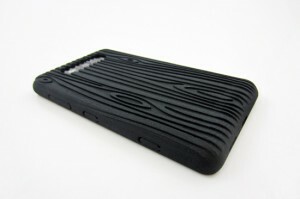 Rapid Prototyping was used to convert designs into physical prototype models over night. The prototypes were then used as part of the helmet fitting process, giving the athletes complete confidence in final fit and function of their Olympic cycling helmets. Not just a tool for accessory design verification Rapid Prototyping has proven popular in the design verification of various bicycle components. UK based Brompton Bicycle have incorporated 3D printing technology into their product design process with prototype models used for early design verification and product testing of components such as pedals etc. 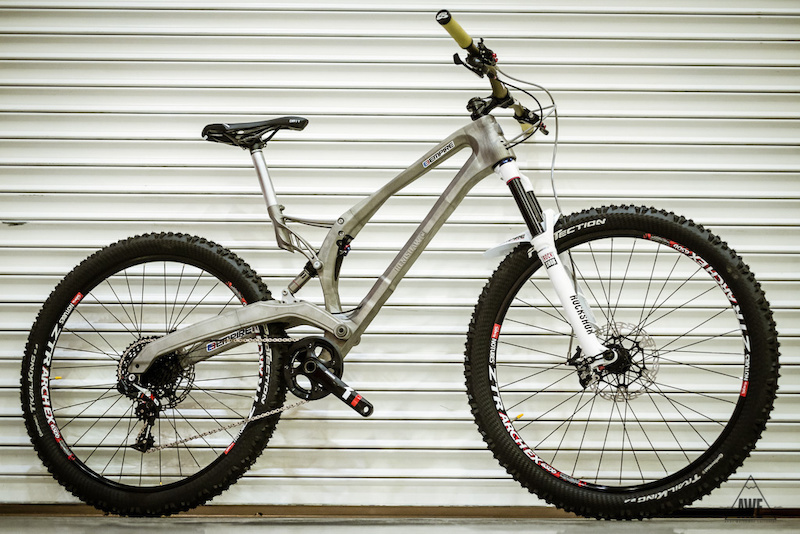 Earlier this year British bicycle company Empire Cycles created the worlds first 3D printed titanium bike frame. Specialising in the design and manufacture of bikes specifically tailored to the demanding performance requirements of mountain bikers and downhillers, a significant challenge for Empire Cycles was the reduction of overall bike weight, carbon fiber while lighter would be more likely to suffer damage when “chucking yourself down a mountain”. By using 3D printing technology it was possible for all unnecessary materials to be removed allowing for a weight saving of 44% against the original aluminium alloy seat post and a 33% weight saving against the original bike frame, with further weight reductions possible on future design iterations. The use of additive manufacturing technologies allows all the advantages of a pressed steel monocoque construction used in construction of motorbikes and cars, without the need for significant tooling investment. The 3D Printed seat post bracket has been tested using the mountain bike standard EN14766 and not only passed standard by continued to perform without failure to 6 times the standard. Testing of the bicycle and frame will continue both in lab and on mountainside with the project aim to produce a fully functional bicycle. 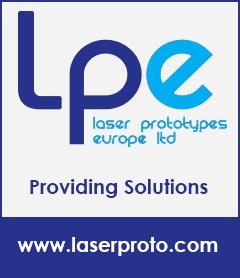 Comments Off on Helping young people design & 3D Print assistive technologies. 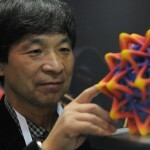 Helping young people design & 3D Print assistive technologies. Hereward 3D is a collaborative project between Hereward College and The University of Warwick funded by The University of Warwick Science Park. 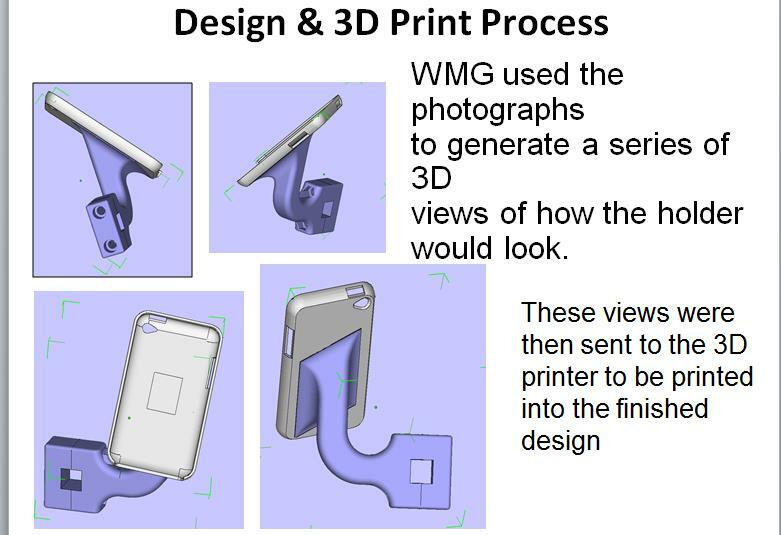 This project combines the students at Hereward College expert knowledge of young people using assistive technology with Warwick University’s expert knowledge of 3D printing technologies, with the aim of empowering young people to design and 3D print assistive technologies tailored to their own specific needs. Since September 2013, staff and student tutors from the WMG and the Department of Computer Science have been working with Hereward students at a weekly workshop. One of the collaborations ongoing projects involves the design and production of a bespoke iPhone Communication Aid Mount for a wheelchair user as shown below. 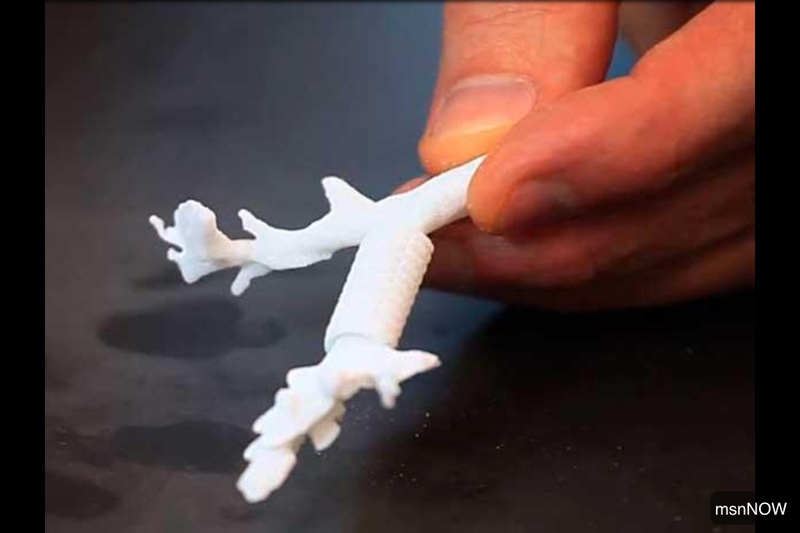 A proactive project, Hereward 3D shows how 3D Printing technology can be used to improve the quality of life and increase independence for those living with disability. To check out the projects progress visit the Hereward 3D webpage. 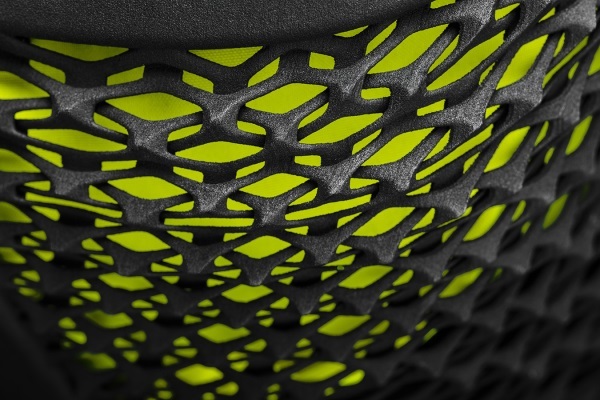 Comments Off on Could Selective Laser Sintering hold the future for athletic footwear design? 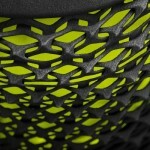 Could Selective Laser Sintering hold the future for athletic footwear design? Much has changed since the first Modern Olympics was held in Athens, Rome in 1896. From a private funded, little publicized event the Olympics has grown in popularity to become a highly anticipated sporting event with some 200 nations competing across the various events. Fierce competition within the running events means victory is often won by seconds rather than minutes, for example the men’s 100 meter dash, with approximately 2% of a percentage difference separating current record holder Usain Bolt and 5th ranked fastest runner of all time Nesta Carter. Therefore shaving just 3.5 % off a runners time can mean the difference between victory and defeat. 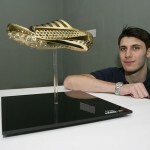 French engineering and design student, Luc Fusaro aims to provide runners with the key to unlocking this 3.5 second difference, a 3D Printed running show branded “Designed to Win”. Unlike existing custom footwear where slight changes to material or spikes allow for cosmetic customization, it is at a structural level the customization occurs for the “Designed to Win” footwear. Scans are taken as the athlete performs a number of different athletic feat such as jumping off a box or running with these scans then used to tweak performance of the shoe. Once tweaks have been finalized the shoe is then build layer by layer in a Nylon powder using the Selective Laser Sintering (LS) process. 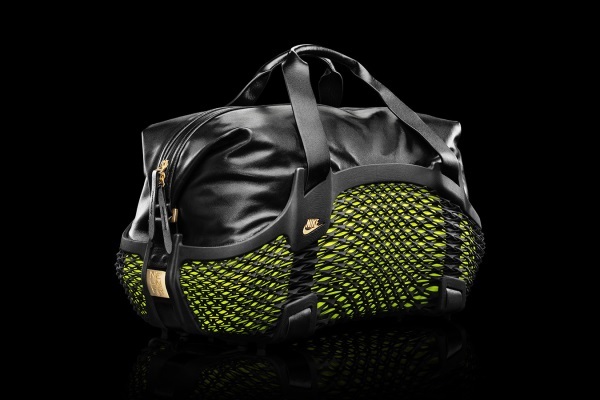 The resulting shoe weighs just 96 grams, making it the lightest racing shoe to date (the super light Nike Mayfly weights 136 grams). 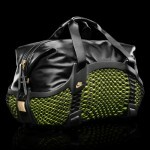 Currently Fusaro is tweaking to pattern of the material to achieve the required level of flexibility. 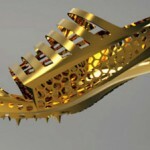 With the structure all about functionality the gold coating and spikes ensure the final product will look really neat. 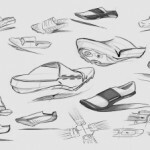 Fusaro hopes to debut fully functional “Designed to Win” footwear in 2016. 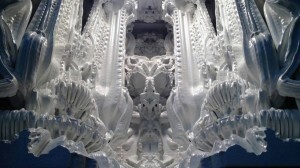 Comments Off on Digital Grotesque – the new face of architecture. 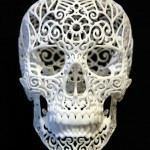 Digital Grotesque – the new face of architecture. 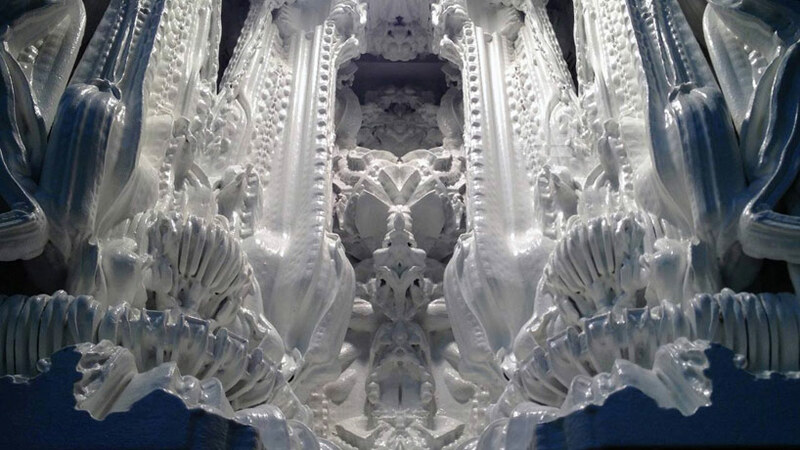 Entering into the grand 16 square meters of “Digital Grotesque” you could easily mistake it for the intricate interior of a Baroque cathedral in fact what stands before you is the first ever “fully immersive, solid, human-scale enclosed structure entire 3D printed out of sand. Designed and developed by Swiss architects Michael Hansmeyer and Benjamin Dillenburger, the 11 tonne structure exhibits an impressive 260 million surfaces with a layer resolution of 0.13mm. The project took 13 months to complete with the entire structure built in just one month! Less concerned with functionality than with the expressive formal potentials of digital technologies, the work of Hansmeyer and Dillenburger examines the spatial experiences and sensations that these technologies enable. 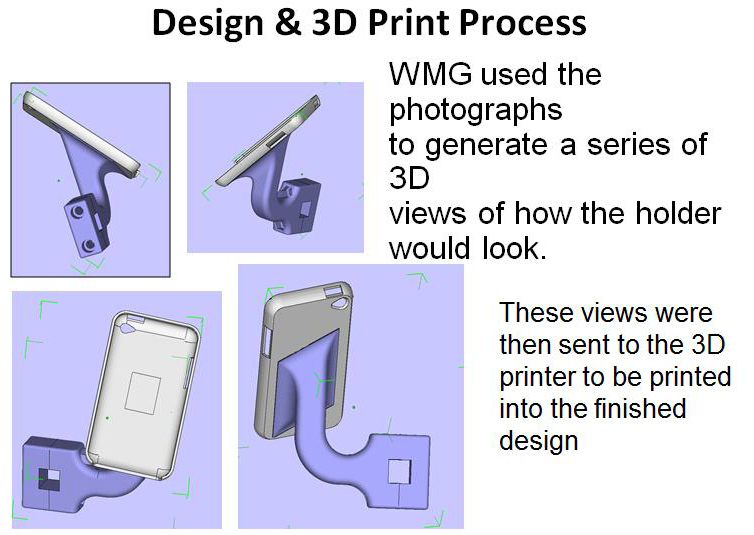 While 3D printing for mobile device development is nothing new Nokia are embracing the growing consumer interest in 3D printing technology with the Lumia 820 3D printing community. A simple concept the 3D printing community will allow users replace the removable mobile shell with a range of Nokia made casings capable of enhancing user experience, from special ruggedized shells – for those demanding a more robust mobile casing to shells adding a wireless charging capability allowing chatterboxes to talk for longer. 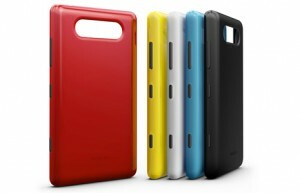 In addition to these product add on’s the team at Nokia have realised that with 3D printing it will now be possible to take customer experience and the desire for individuality even further with 3D templates available online for users to build their own unique shell casing. 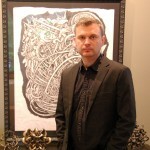 Nokia Community and Developer Marketing Manager, John Kneeland believes that the future for mobile phones lies in more modular and customizable products, with the hope that some day Nokia will sell some kind of phone template allowing entrepreneurs the world over to build a local business on developing phones specifically tailored to the needs of his or her local community.